D and I spent an interesting Saturday morning at a most unusual store, The Iron Shop in Broomall, Penna., just outside Philadelphia. 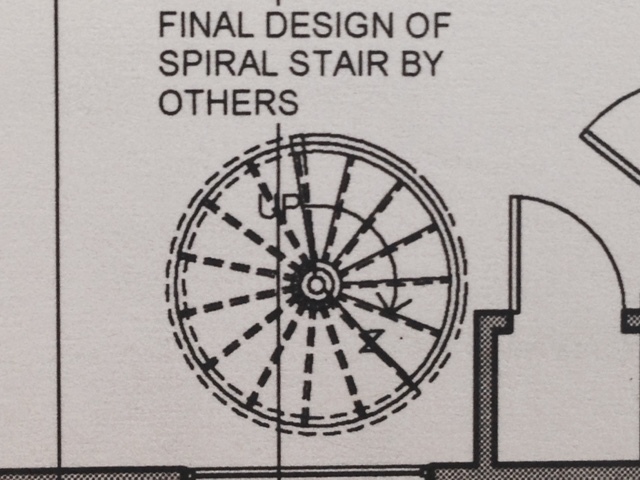 Our task: shop for a metal circular staircase to provide access to our third bedroom. While the major, living portion of the house is a big open timber frame, there are two wings (conventional, stick-frame construction) on either side of it—one for the master bedroom on the ground floor and guest bedroom above it; and one for the entry, sun room, and third bedroom above that. The main staircase in the timber-frame section will serve the second or guest bedroom. The third bedroom, which we’ve named the Crow’s Nest—for its indoor balcony views, with a nod to the Canadian Rockies railway pass of the same name—needs a staircase of its own. 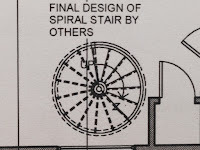 A circular stair will provide the most economical design solution in terms of space and money. At The Iron Shop we were fortunate enough to have Ron Cohen, the current patriarch of the company work with us, looking over our architectural plans and guiding us as we chose from many designs and options. Since D and my tastes were pretty much in sync, it was a smoothly enjoyable process to select a 5’ 3”-wide stair in an “olde copper” color finish with 13 red oak treads from the Architectural Series. The rest of the hour was spent pleasurably talking with Ron, who was happy to share pictures of his great granddaughter and a little history of the company. Architectural series circular stairs sample on display. Thanks, Ron, for a pleasurable design session and shopping experience. We look forward to sharing installation photos and joining your gallery.